We DID IT!! Race complete! The Next Step is to finish the fundraising so that we can edit the Documentary! It will be so amazing to be able to share this journey with teh world and hopefully inspire people who have faced challenges. At the race this past November we got a TON of great footage showing the amazing family that is Ultraman. Combined with the footage from 2015, it will be a lot of fun to share with you! We hope to have a new film teaser trailer done soon.... Thanks for all the support! Scott. 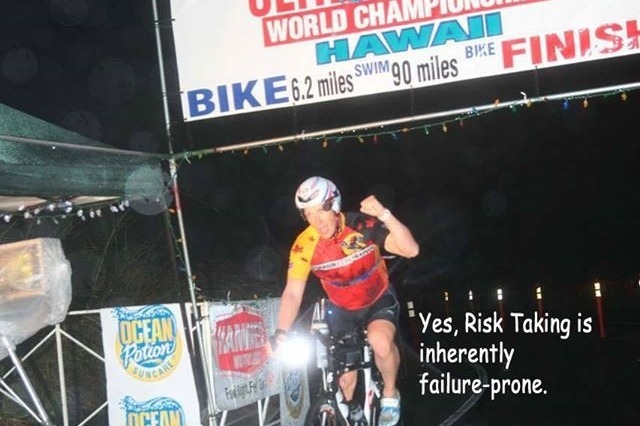 On November 28th, 2015 I was racing in the Ultraman World Championships in Kona Hawaii. It was raining, and apparently there was some algae on the bridge deck. I woke up 3 days later in the brain trauma ward of the Queen's Medical Center with a broken arm, shoulder, 4 ribs and a fractured skull and a brain injury. It has been a crazy hard 3 year journey and many, many surgeries but I am headed back to Kona! My crew will be with me and so will the athletes that saved my life and helped during that crazy time. The expenses to do this are monumental. Just the therapy to get back to healthy the past few years has been massive and we have drained all of our savings and borrowed from our parents, but now we are simply just looking forward to getting me and the crew to Kona. You can help out with accommodations, vehicle rentals, flights, food and all that comes with it. As I work the the mental and physical challenge of packing for a race of this magnitude.... I wanted to reach out and say thanks again for your support!! While we still have a long way to go on our fundraising goals, and I remain optimistic that more will somehow come along.... I wanted to say THANK YOU to those of you that have already contributed!! This is a dream that involves a LOT of people, and I include you in that. I am excited to see what comes on race weekend November 23, 24, 25 and have done everything I can to prepare. From teh bottom of my heart, THANK YOU for your generosity!! I will do my best to make you proud!! And the video in case you have not seen it. Thanks to those that have donated so far!! Every dollar makes a difference! We are fundraising for a mere fraction of the costs to not only get me back to Kona after the crash, but to make a documentary on teh whole thing.... to share with you all!! The video is ready to see.... yes... we are documenting the return.